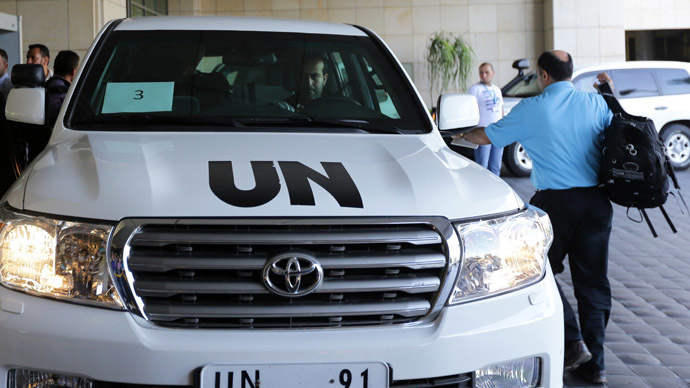 The Organisation for the Prohibition of Chemical Weapons (OPCW) has approved the details of an international plan to take under control and ultimately destroy Syria’s chemical weapons arsenal. 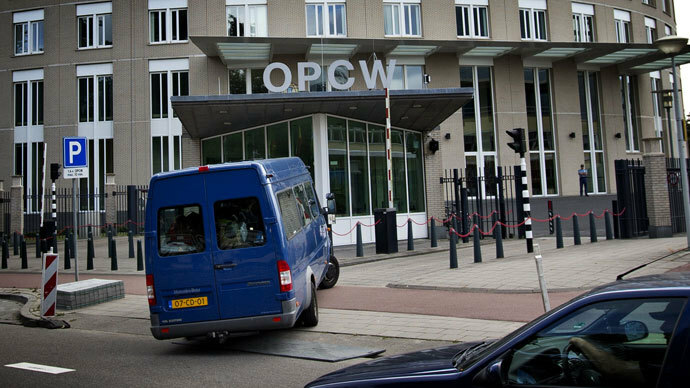 The OPCW meeting had been delayed for several hours as one of the representatives reportedly did not get necessary instructions from their government on time. The organization had approved the action just one hour before the UN Security Council met to unanimously adopt Syria resolution. The watchdog would gather again within 24 hours in case a “delay by the Syrian Arab Republic in meeting the requirements” is reported or “a lack of cooperation in the Syrian Arab Republic or another problem” arises in implementation of the plan. The decision paved the way for the UN Security Council's vote on the resolution. The five veto-wielding members had agreed upon the text on Thursday before presenting the draft to the full 15-member body during overnight discussions. 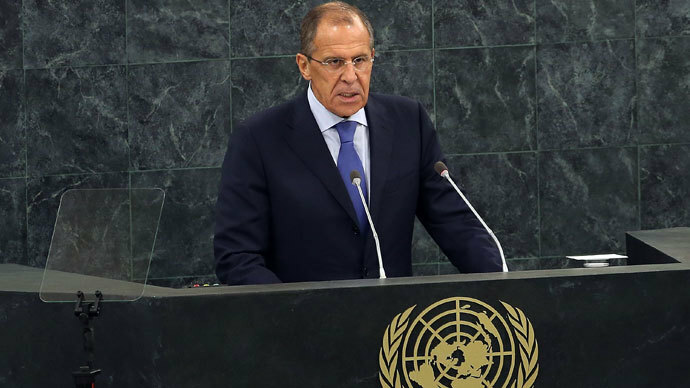 The draft resolution is fully in line with the Geneva framework on the destruction of chemical weapons in Syria, Sergey Lavrov told the press earlier on Thursday on the sidelines of the UN General Assembly's 68th session. “There will be no enforcement in line with Chapter 7,” he emphasized. 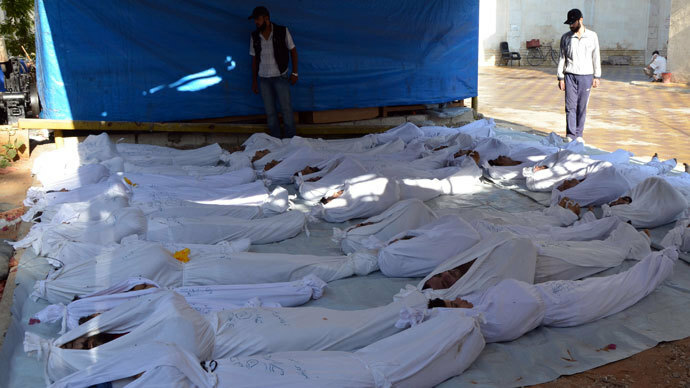 The draft resolution backs the agreement reached in Geneva regarding Syria's commitment to place its chemical weapons stockpile under international control. 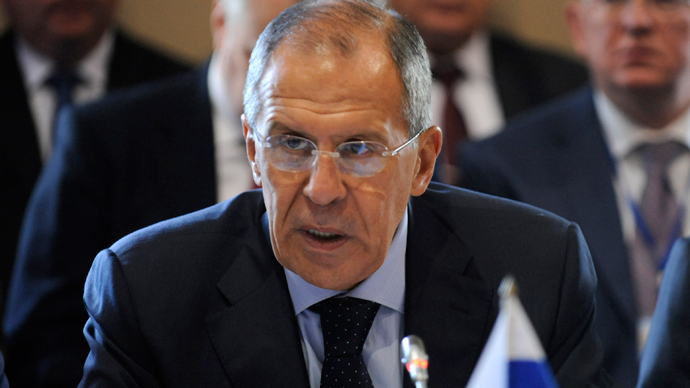 If there is any violation by any party – as the resolution also calls on the opposition to assist in the disarmament process – the Security Council will convene again and will be ready to take enforcement measures in line with Chapter 7, Lavrov said.